Printable learning activities provide an easy way to engage my toddler while I have a cup of tea or make dinner. Because she loves polar animals and snowmen right now, I thought I’d share 5 of our favorite winter-themed printables (some free and some for a small cost). My favorite winter themed printable is my own (shameless, I know). I designed this based on my tot’s favorite learning activities and keep it in my purse for a quick and easy way to occupy her while we are in waiting rooms or visiting friends and family. It’s easy to make (all you have to do is print, laminate, and cut). The PDF file is available on Etsy for a small fee that helps pay for my design software and graphics. Printable book with 9 learning activities available on Etsy. My toddler got some do a dot markers (aka washable daubers) for Christmas, and she loves playing with them! Easy Peasy Learners has some amazing free printables. We really enjoy their polar animals pack (click here to see). Easy Peasy Learners also has holiday-themed printables, educational, and seasonal packs. 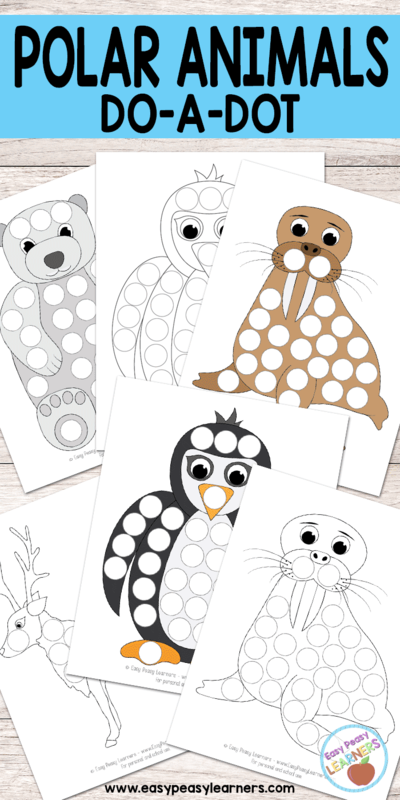 If your child likes do a dot activities, you must check out this blog. Now that my kid (usually) doesn’t try to eat playdough, we’ve had a lot of fun playing and shaping it. I love playdough because it strengthens hand muscles and promotes fine motor development. 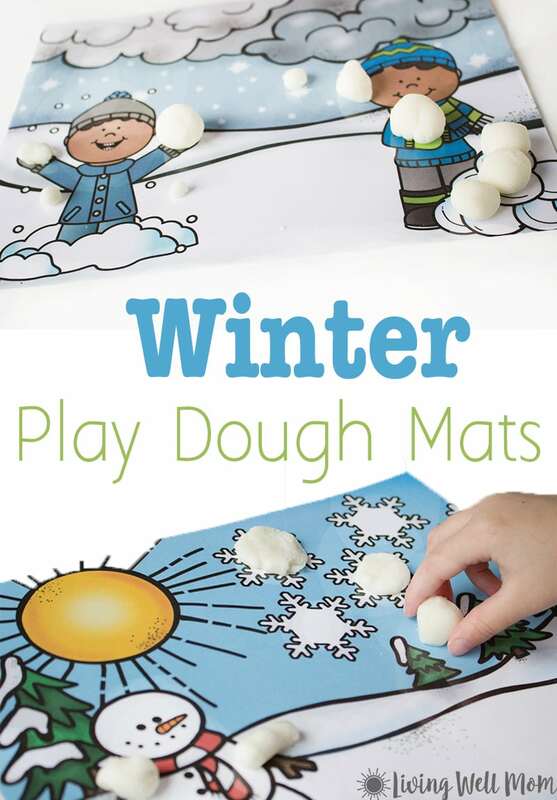 Printable playdough mats add creativity and fun to craft time, and we really enjoy these Winter Scene Mats by Living Well Mom. My little one especially likes to make snowmen and snowballs with playdough right now! My child is too young to cut, but she loves glue sticks! 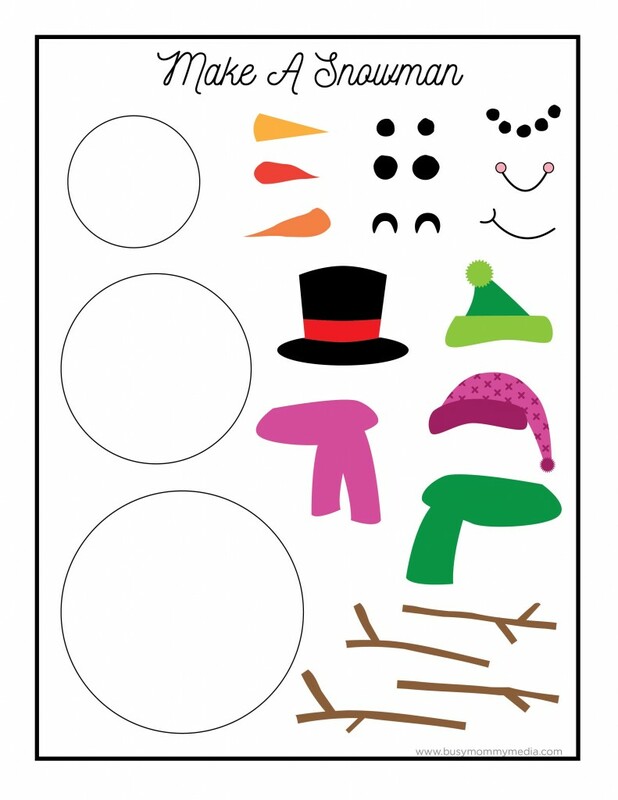 This cute snowman printable by Busy Mommy Media makes it easy for us to do a craft together. I cut out the pieces and she glues them on the paper. At the end of the craft, we’ve made a pretty abstract snowman, but she’s happy and proud of our work! 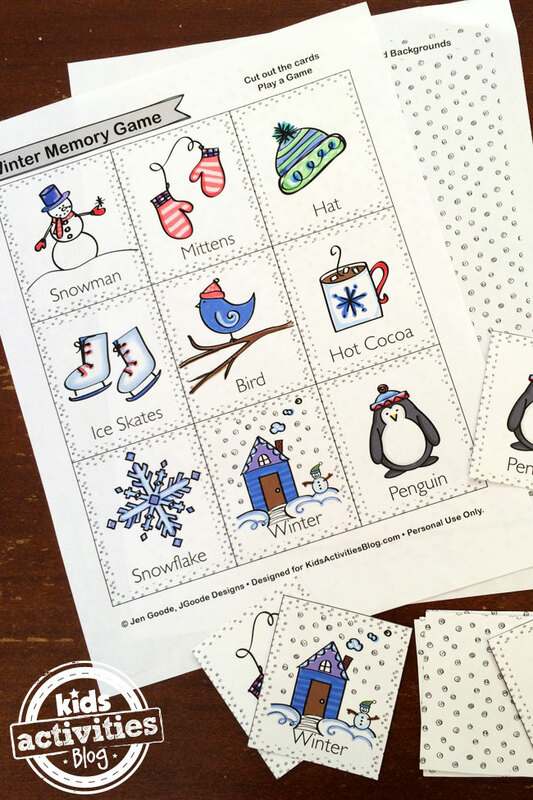 Kids Activities Blog offers an adorable, free printable memory game. We introduced our daughter to memory a few months ago as a way to help her learn sharing and turn taking. She learned that AND is really good at memory! I really like Kids Activities Blog’s game because it has the picture and the word, which is nice for older tots learning about letters and sounds. Do you have a favorite winter themed printable? Share a link in the comments below!